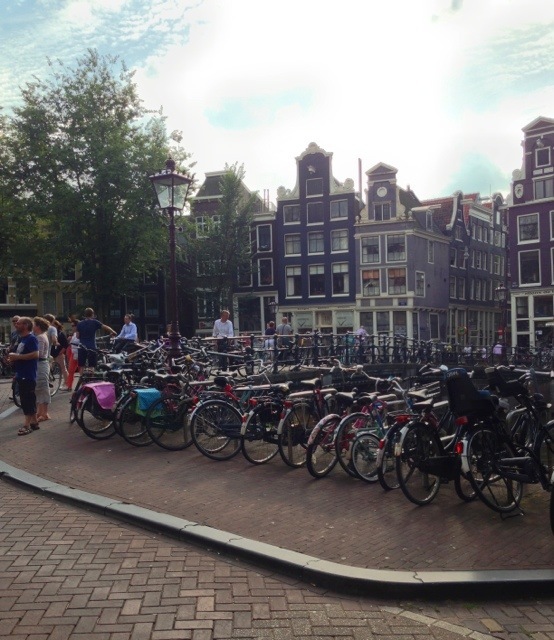 One thing you instantly notice when you visit Amsterdam is people commute with bicycles. There are lots of bicycles parked and locked in railings or lamp posts. I also noticed some of them are left abandoned for years! 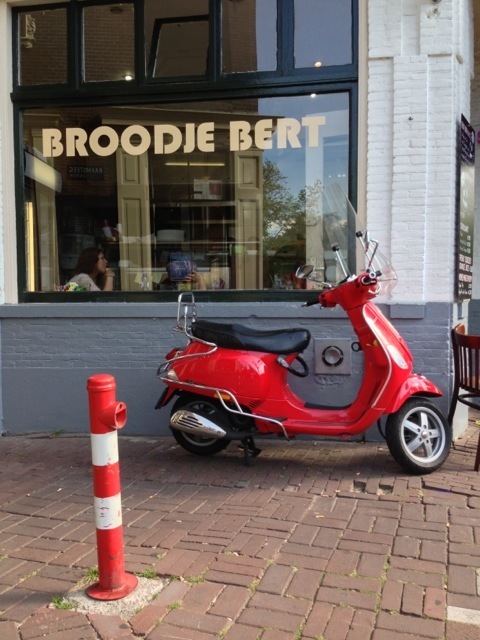 Oh, and for Vespa lovers like me, this city is also a treat. Vespa is like official motorcycle! Vespa in different colors and accessories are everywhere (mostly are LX150 though). 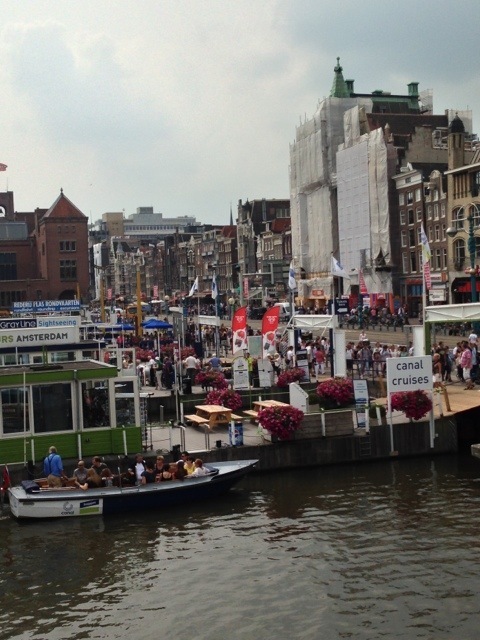 Bikes aside, Amsterdam is a heavily populated city with a feel of a small town. 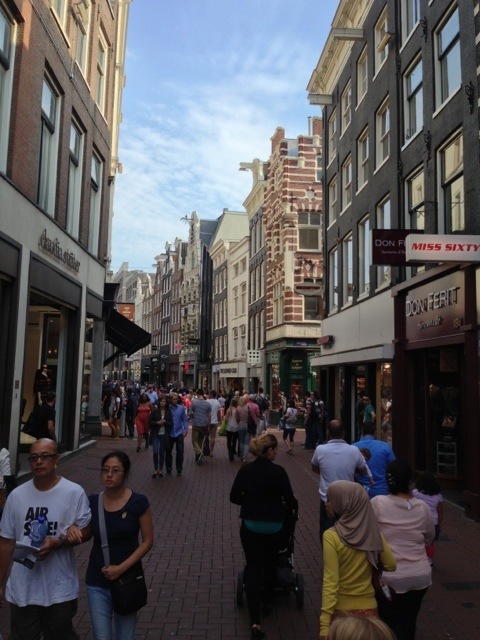 The streets are narrow, the building spaces are limited. 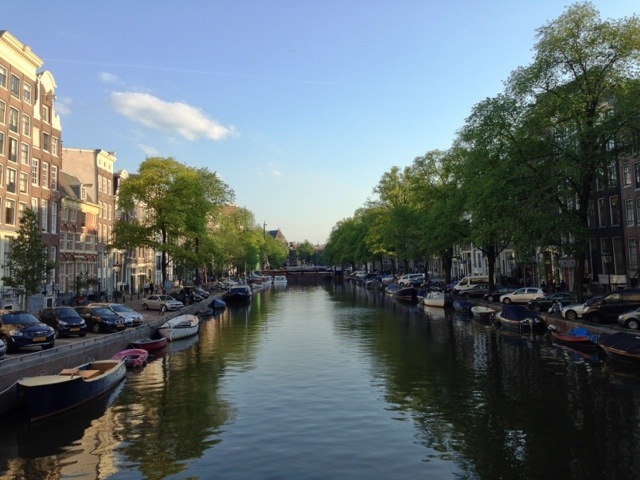 It is characterized by many canals and bridges that run across the city. We as tourist can easily walk to many city’s destinations in ease as it only covers short distances. I immediately love the vibe of Amsterdam.